DONATIONS FOR CONSTRUCTIONS. Some works and building constructions are carried out here in Congo and Togo, thanks to our donors. 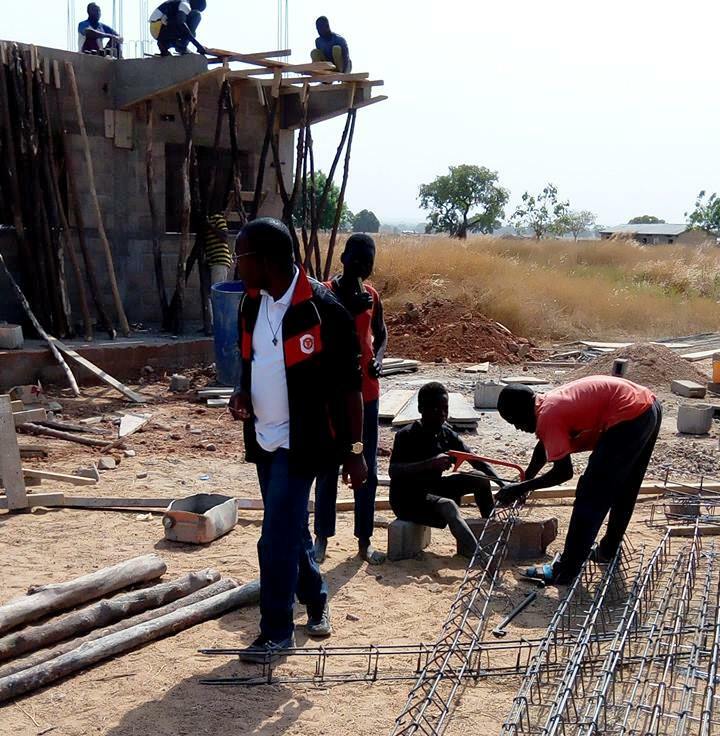 News from TOGO: Construction of Jean-Marie de la Mennais’ College in Ogaro. “Dear friends of ASSIFIC, benefactors and partners of Jean-Marie de la MENNAIS Primary School and College, the peace of the Lord be with you. 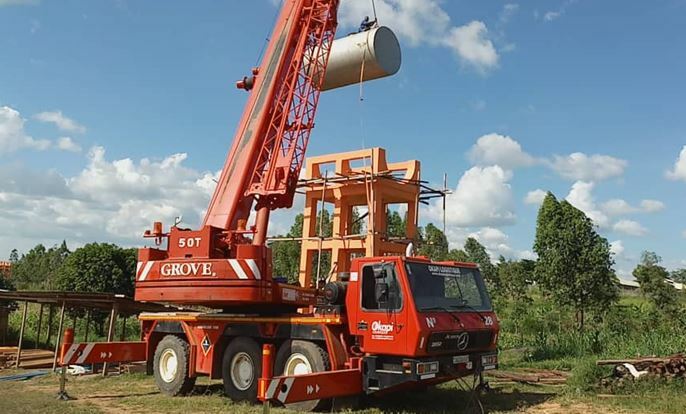 We hereby like to share with you about the works on the building site. The single storied School building comprising the ground floor and a six-class-room floor, two latrine blocks and the water tower are completed. It is in this atmosphere that the school year began with the opening of the Sixth Form. 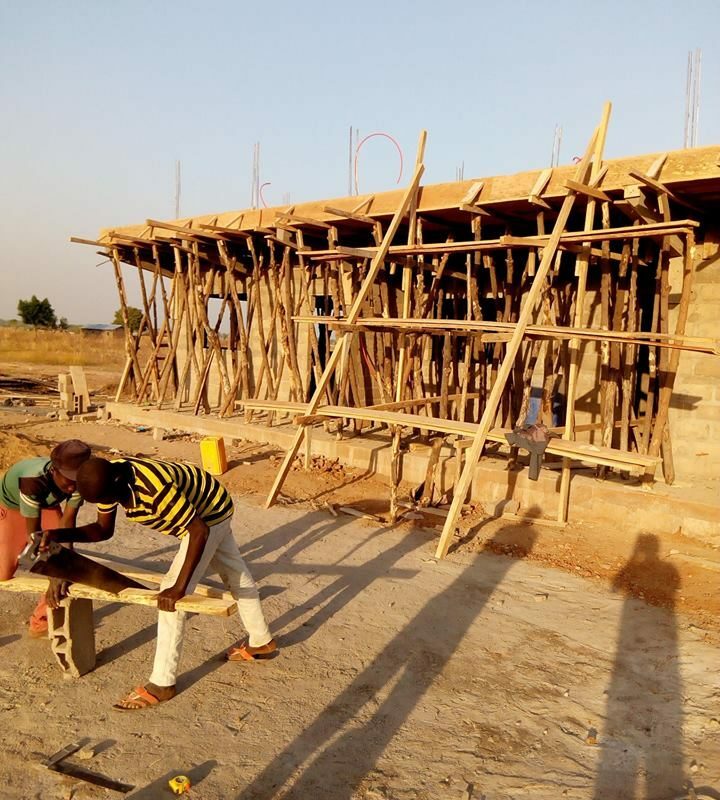 With the Administration block almost complete, the contractor is ready to begin the third phase of the project with the construction of the enclosing fence. We have to build everything in bricks, because of the animals that can cross the gates and because of the strength of the water as well. Thank you for everything you do for this people. May God give back to you a hundredfold . 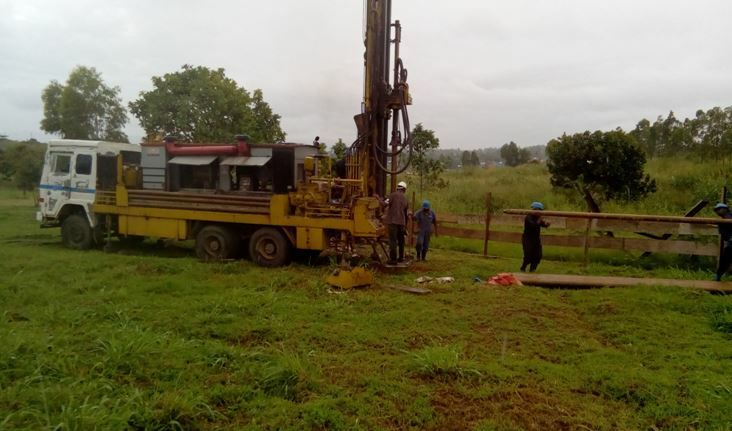 News from CONGO : Equipment and drilling for Jean-Marie de la Mennais School, in Bunia. 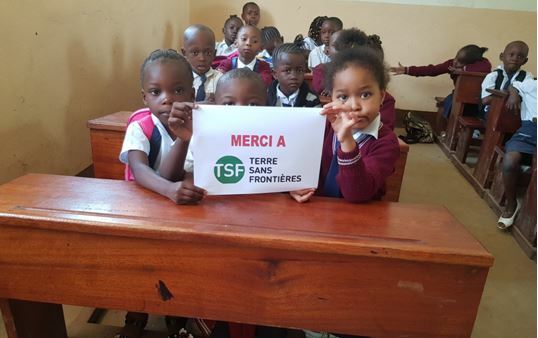 These are achievements of projects funded by a few donors through TSF, (Terre sans frontiers) .This concerns the production of desks for children. 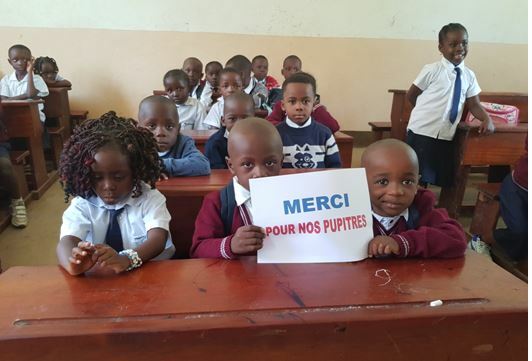 Brother Gilles, the School Headmaster took pictures of form 1 students who show themselves very grateful on behalf of the whole school. 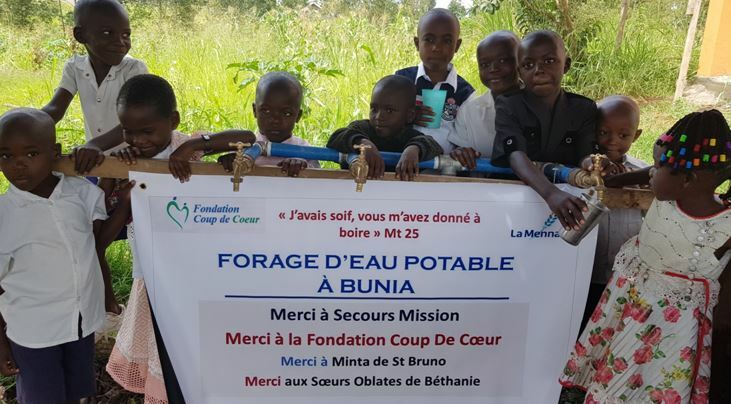 In addition, drilling for the installation of a cistern took place thanks to the participation of several organisations including Secours Mission, Quebec, based in St Romuald. installation of a cistern at Jean de la Mennais’ School of Bunia, Congo.